I thank the organizers of the Jeju Forum for giving me the opportunity to contribute to these important discussions. I am not an expert on Korea. I am sorry to say it, but I must admit that I do not even speak Korean, as all modern people should. I can only offer some experience in how to try to solve international problems. I usually work as a historian. But I have also served my country as a career diplomat and occasional official over more than 30 years, working for five American presidents. There were problems in Europe, the Middle East, and Asia — diplomatic, military, and intelligence problems. On several occasions, I have helped make policy toward North Korea — working in the Pentagon, in the State Department and in the White House. Let me start with my summary of where we are now. We have just completed the temporary resolution of a recent and serious crisis. This crisis was created by North Korea’s continuing nuclear and missile tests, to develop a capability that could also threaten the mainland United States, in addition to longstanding threats against South Korea and Japan. These North Korean choices produced two foreseeable results. The first was that the US government very seriously considered military action to stop the further development and perfection of these North Korean capabilities. Such action could lead to a devastating war. At least some US officials were preparing to accept this risk. I do not believe the current government of North Korea would survive such a war. Therefore, although we always hear that North Korea puts regime survival above all else, its government made choices that began to put regime survival at risk. The second foreseeable result of the North Korean test program was that it would cause the United Nations to pass new and even tougher sanctions that would hurt the North Korean economy and people. China supported these sanctions, for reasons you can imagine. These sanctions also created a long-term danger to the survival of the North Korean regime. Those of you who believe you understand the North Korean government can guess at why the North Korean government felt the need to take these dangerous steps. In late 2017 and early 2018, the two Korean governments moved to reduce the immediate risk of war and de-escalate tension. They have driven the recent diplomacy that has produced the current understanding, which has not been turned into a written agreement. That understanding is a trade. North Korea suspends further nuclear and missile testing. In exchange, it gets to retain these new capabilities (for now); it gets enormous international recognition with multiple summit meetings, including a bilateral meeting with the American president in front of the world press; it gets a suspension of US-South Korean major military exercises; and it may also be getting a quiet easing of some of the restrictions, especially in trade with China. The world knows little about what was discussed in the three recent summits between Xi Jinping and Kim Jong Un. In the short term at least, the results are a definite success for the two Korean governments and for China. Although I welcome the suspension of North Korean tests, the meeting between the leaders of South and North Korea, and a reduced risk of war, some other results are more mixed for the US. Perhaps the US government is prepared to tolerate the current North Korean nuclear and missile capabilities. I can understand that argument. But perhaps the trade I have just described could have been achieved just as well without the US-North Korean summit and without the suspension of the military exercises. From what little we can see in public, both the Singapore summit and the exercises suspension seem unnecessary and premature. The South Korean government has made a determined, energetic and successful effort to head off the risk of war and facilitate the current understanding. But what now? I will devote my remaining comments to the future, and to next steps. First, there is a basic choice about what kind of diplomatic process to pursue. I have nothing against denuclearization. My argument is that a diplomatic process focused on broader peace issues is more promising than one focused only on denuclearization. The denuclearization track has three basic weaknesses. Weakness 1: Step-by-step denuclearization has always stumbled. For many reasons, which experts like Siegfried Hecker, Elliot Serbin and Robert Carlin have recently discussed, it is hard to envision a quick, clean-sweep trade of complete, verified, irreversible denuclearization in exchange for a clean-sweep lifting of sanctions. So, very quickly the negotiators start working on incremental bargains, a “step-by-step” process. This has been tried again and again. It has always failed. North Korea offers to give up something it doesn’t really need for some short-term payoff. Both sides usually end up dissatisfied. Meanwhile, the real roots of the North Korean nuclear and missile program are not really addressed. Weakness 2: The denuclearization track necessarily puts the US and North Korean sides into a mainly bilateral posture. The technical issues require a central American role. Since North Korea has usually preferred to treat the US as its peer, and South Korea as an inferior US puppet, the denuclearization track reinforces North Korea’s preferred image and tends to sideline South Korea and the South Korean people. Weakness 3: The denuclearization track puts nuclear and missile issues and experts front and center. These issues and experts get further from core political issues and they are not well understood by political leaders or publics. So, the diplomacy is too narrow and politically sterile. There is a time for hard work on denuclearization. And perhaps some initial work can be accomplished in a denuclearization track that at least gains information about the current situation and consolidates the present freeze. But the scale of co-operative effort needed for complete denuclearization is so large that I think now, even more than in the past, a wider easing of tensions and better inter-Korean relations are essential if denuclearization is ever to become complete. As the current freeze holds and tension eases, a peace negotiation process seems more promising. A peace process agenda should be quite broad with no preconditions. I will skip over the history of the three past efforts to do this work, in 1954, in 1997-99 and in 2005. The main point to note is that none of these peace negotiations ever really got started. Such a process has never really been tried. What might a peace process accomplish? I will mention seven tracks, which can be addressed in whatever order the sides might wish. 1) The process should clarify the nature of the relations between South Korea and North Korea. A starting point could be the Basic Agreement between the two states that was reached in December 1991. A first stage of negotiations could reinforce, supplement, or supersede that agreement. 2) In creating new inter-Korean relations, Koreans may also wish to discuss concerns they have about human rights and the treatment of their fellow Koreans, or of Japanese citizens who were kidnapped and brought to North Korea against their will. These are also issues that concern the wider international community. 3) The issue of borders and their permanence leads to the question of whether there should be a confederation or unification process. I participated in the negotiations over Germany in 1989 and 1990, but there are many differences in this case. 4) The peace process should replace the Armistice agreement of 1953. Therefore, the treaty should replace that agreement’s Military Demarcation Line (MLD) with an inter-Korean border, either permanent or interim. One possibility, based on European precedent, is to turn the MDL into a border, regarded as inviolable, subject only to peaceful adjustments agreed to by the parties concerned. 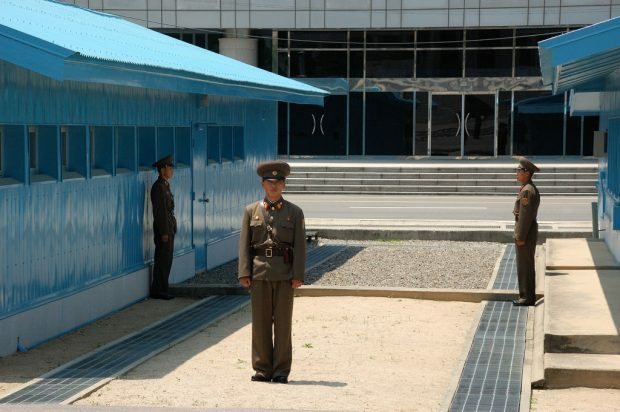 5) If peace negotiations replace the Armistice agreement, it must also replace that agreement’s Demilitarized Zone. A treaty can have no DMZ or the treaty can design a new one. 6) A DMZ is only one aspect of the security issues that could be addressed in order to end the dangerous military confrontation in Korea. North Korea has always argued, for example, that US forces must be withdrawn from the Peninsula. If that is still North Korea’s view, the government can make their argument. South Korea (and the US) will have concerns and arguments of their own. After all, it is up to the people of South Korea to decide, working with us, if they want or need American military assistance as part of our alliance. South Korea should be proud of its democracy. The path has not been easy. Many South Koreans and many Americans fought and worked for many years to help South Koreans have a democracy. Americans will respect that democracy’s choices. But both South Korean and US experts are right to be worried about the size and deployment of conventional armed forces on the Peninsula, including shorter-range ballistic missile systems and other kinds of artillery. Negotiations can address these concerns. A very large-scale and reasonably successful precedent, defusing the largest conventional military confrontation in the world, was the treaty on Conventional Armed Forces in Europe, concluded in November 1990. I participated in this negotiation in a couple of ways and would be glad to offer more details about it. 7) In addition to concerns about conventional armed forces on each side, South Korea and the US have concerns about North Korean deployment of weapons of mass destruction. The nuclear weapons and missile issues are familiar and there should be a track to discuss them. So, I will just add that South Korea and its allies are also concerned about North Korea’s possession of chemical and biological weapons as well. If these seven points seem like a large agenda, it is worth remembering the range of issues that were discussed at the end of the Cold War in Europe. Back then, there were at least six different negotiating tracks being pursued simultaneously in those years. If the countries involved find they need to hire more diplomats, so much the better. What about sanctions relief? Each set of sanctions was adopted for specific reasons, often linked to some specific UN resolution. If any country wants to ask the UN to cancel a set of sanctions, it can do so and give its reasons. The countries that adopted the sanctions should then decide. My guess is if North Korea wants to do a gradual opening, perhaps on the model of Vietnam during the 1990s, it will wish to do so with a gradual pace and program, not a sudden shock therapy. These gradual plans can be linked to the diplomacy. As time passes, a peace process would complicate a North Korea decision to conduct further ICBM tests. If the North goes back to testing, this disruption of a peace process will make it easier for the US to gain support for a strong response to such further tests. Rather than a Six-Party process, we could all consider a diplomatic process that looks more like 2 + 2, and possibly more at a later stage. The first steps that I have outlined are best conducted between the two Korean states, with each consulting with its friends along the way. At the point the DMZ and other security issues are engaged, it would be useful for the US and China to join the process. Both countries were signatories to the 1953 Armistice agreement and were key participants in the 1954 Geneva conference. In different ways, both Japan and Russia will understandably be deeply interested in this process. For different reasons, I think their interests can be better represented informally, rather than through formal participation. I am advocating a broad peace process. An important purpose of diplomacy is to clarify intentions, creating situations where choices are presented for decision. This is a time for clarifying intentions. A broad peace process will engage issues that ordinary people can connect with and understand. I do not think anyone has, or can, fully reckon with the huge political impact of such a broad peace treaty negotiation among the Koreans. North Korea has long asked for such negotiations and has agreed to them in principle. Neither I nor anyone else can confidently predict how these dynamics will play out. But my strategic judgment is that we should prefer those possibilities and uncertainties to the possibilities and uncertainties in the status quo, or in an approach focused only on denuclearization.